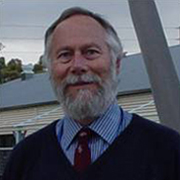 Dr Tim Kuchel, is the director of the Preclinical, Imaging and Research Laboratories (PIRL) of the South Australian Health and Medical Research Institute (SAHMRI). It is PIRL which hosts the NIF funded Large Animal Research and Imaging Facility (LARIF). Dr. Kuchel has more than 30 years’ experience in animal research with a special interest in imaging modalities, experimental surgery and comparative anaesthesia. The capacity to provide or help develop Large Animal Models of human disease is the core business of LARIF and PIRL, and interactions with industry to add to existing translational medicine capacity are being actively pursued by the Dr. Kuchel and his team.